This time we didn’t need to make bug fixes (good news concerning the stability of the engine! ), we have added some cool improvements (PoolObject managed by the State, ATF, Tiled Map Editor ObjectMaker improved) and announcing the future V3.1.0 which will be multiplayer friendly! Also there is a support page now and we invite you to give it a look. a PoolObject can be rendered through the State/StarlingState classes. the LevelManager class can load tmx file. ATF file format are supported by the StarlingTileSystem class. tiled map objectmaker uses dynamic tileset name. ObjectMaker FromTiledMap support now multipe tileSets. added a RevolvingPlatform in box2d platformer’s package. the Starling’s AnimationSequence class has a new parameter : the smoothing. Default is bilinear. The Ant tasks has been updated to generate the 11 swcs in just one click. We’ve starting to work on a new input system. Firstly, it’ll help to be able to change quickly input keyboard keys. At the moment they are hard coding. We’ll add a Joystick support for playing on mobile and a Button class. The input will be injected, therefore we won’t make anymore conditions on input key but on Actions. It doesn’t matter if it comes from Keyboard, Joystick, … or from a server! At the same time it’ll use a channel system so it will help to have several players on the same game locally, or in a real multi-player mode! And finally we’ll also have a cool replay system, to be able to replay our previous actions. Sound awesome? Stay tuned! We’ve opened a support section. Companies desiring a strong support may work with a freelancer. You can also make a donation which will be divided fairly between contributors or help to “hire” a specialist to work on an advanced feature requested by the community. 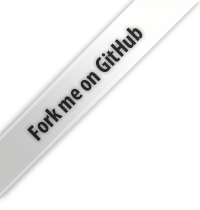 The Citrus Engine is 100% Open-Source, free, and strongly supported. And it will always be! As always, feedbacks are welcomed! Happy coding! Great work. Awesome you added a support page. Just made an initial donation. Just playing with the engine for now, but have been very impressed. Will continue to donate if I continue to use the engine. Thanks for the work.